Undofen cryotherapy is an effective and the fastest individual method of treating warts (warts) at home, based on the same freezing method used by doctors to freeze wart away. 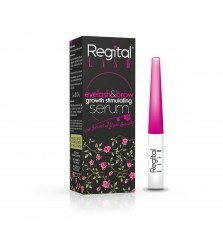 1 x 50 ml. Undofen propane bottle. 12 x Disposable foam applicators. The unique application technology allows an optimal freezing temperature (-50°C). Usually, one procedure freezes the wart to the root, allowing quick (10-14 days) effective and complete removal of warts. Disposable applicators protect against transfer of HPV virus. Suitable for removing warts on the skin of hands and feet. Can be used by children from 4 years old. 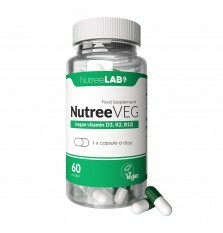 Effectiveness confirmed in clinical trials. 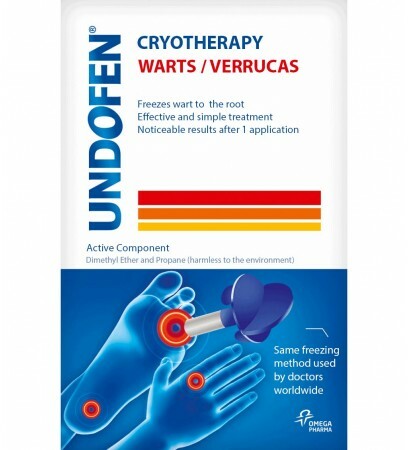 Undofen cryotherapy immediately freezes the wart up to the root. When the foam applicator is applied the skin may become white - light pain and burning may occur, which is normal reaction to freezing. After removing the applicator, the correct skin color will come back to normal. The unpleasant feeling will decrease and should go away within few hours. Frozen wart should gradually disappear or fall off after about 10-14 days, revealing a new, healthy skin. What substance is responsible for freezing warts? The freezing of the wart does not correspond to any substance, but the effect of low temperature applied to the changed place on the skin. In the undofen® cryotherapy, a mixture of dimethyl ether and propane (dmep) was used as a freezing agent. The new application technology allows to obtain the optimal freezing temperature - when the applicator is in contact with the wart, the temperature is below -50 ° C.
If wart was too big or you didn't freeze it enough, you can safely repeat this process after 2 weeks. For bigger warts it may take a few times before you get rid of it permanently. Can you remove warts on your face? The preparation undofen cryotherapy has indications for the treatment of common and plantar warts. The preparation should work, but the use of Undofen® cryotherapy is not recommended in other places. If you have warts on your face, contact your dermatologist.